A recent news article introduced a creative rule of thumb for “The Sandwich Generation” to use with aging parents. The Sandwich Generation, or adults that care for children as well as older parents, face a unique set of challenges. Utilizing an A-B-C set of basic rules will help families meet these challenges in a healthy way. First of all, let’s learn our ABCs. Now let’s take a look at a few situations where we could apply these principles. When it comes right down to it, what does our parent’s advancing age really mean? A change. And how do most of us feel about change? Human tendency is to resist change, especially when it involves something we have no control over. Am I taking on the responsibility of my parent’s care by myself? Do my parents need more assistance than I can reasonably provide? Have I considered the benefits of using home care and home care software? Once you’ve recognized the reality of your parent’s situation, and faced it head on, it will be easier to accept. 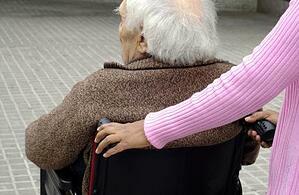 Dealing with elderly parents can be emotionally exhausting – especially if there are health issues that cause concern. Many adult children tend to carry the burden of their parent’s care alone, which can lead to emotional burnout. Working with a home care agency – even for part time assistance – can prevent children from becoming overworked and overstressed. Families should consider agencies that use a home care system and home care software, such as ClearCare, which gives real-time visibility to point-of-care. Emotional burnout is not only detrimental to your health, but also to the relationship you hold with your parents. Children that handle the responsibilities of care on their own may become resentful and angry. Many families have found that relying on home care is the best way to avoid this stressful situation. Remember to ask potential agencies if they offer ClearCare’s home care system and home care software. The news article that presented the A-B-Cs of senior care pointed out that we cannot change the past; we can only choose in what we way move forward. Part of considering your options means being realistic. You must understand your limits and set reasonable boundaries. When considering what options are available to you, it’s a good idea to write down the specific needs your parent has. This will help you narrow down your choices and make the best decision. For information on care options available today, check out our recent post Senior Care Options Available for All Needs. 90 percent of seniors prefer to age in place at home. Using the A-B-C method of problem-solving, how would you A – Address this issue? Interview home care agencies and ask what type of home care system and home care software they have in place. A robust home care system mandates good communication between the care team and you, ensuring that you’re completely involved in your loved one’s daily care. This solution also takes care of B – Beware of emotional burnout. As we discussed, this is a very real danger for family caregivers. As you C – Consider your options, remember to keep a dependable home care system and home care software program like ClearCare at the top of your list.